A DWI can have a significant impact on a person’s life, including reduced driving privileges penalties, steep fines, and jail time. These charges can also affect the professional licenses many people require for their jobs. Doctors, teachers, and pilots are among the groups of professions that may revoke a professional license for a DUI or DWI charge. Individuals may also be barred from future professional licenses with a DUI or DWI charge on file. If you are worried about the status of a professional license after a NH DUI or DWI, contact the Tenn and Tenn Law firm. Often employees are required to report DUI/DWI charges to their employers immediately, so it is important to contact a skilled legal professional as soon as possible after your charge. Doctors—Doctors are required to report DWI convictions to their licensing board. Doctors with DWI charges can face high fines, probation, loss of licenses, random drug testing, mandatory attendance in drug or alcohol recovery programs, or loss of employment. New Hampshire Statute § 329:17 (V) requires all professionals licensed by the state Board of Medicine t report drug or alcohol abuse within 30 days after disciplinary action is taken. Nurses—Nurses may be required to submit a DWI charge to the State Nursing Board for consideration. New Hampshire Statute § 326-B:37 (II)(p) allows the state’s nursing Board to take disciplinary action against any licensed nurse who has used “any controlled substance or…alcoholic beverages to an extent or in a manner dangerous or injurious to himself or herself, any other person, or the public….” Nurses can face many of the same punishments as doctors. Commercial Drivers License (CDL) holders— New Hampshire drivers with CDLs can have their licenses revoked for 1 year for a first DUI/DWI offense, 3 years for a second DUI/DWI offense, or disqualification for another offense. CDL drivers can request hearings from the New Hampshire Department of Motor Vehicles (DMV) within 30 days in order to petition for a suspension reconsideration. Police— Police officers, firefighters, and other public employees can face suspension, restricted job duties, and possibly job dismissal. Teachers— Teachers in New Hampshire can face dismissal for immoral or incompetent actions, or for conviction of some crimes. Many school districts, however, do not require teachers to report DWI offenses that occurred off-duty. Lawyers—Lawyers are required to report convictions to the Disciplinary Board of the Supreme Court of New Hampshire. Failing to disclose convictions can result in disciplinary action. Pilots—Pilots are required to report driver license suspensions to the Federal Aviation Administration (FAA) within 60 days of the offense, and can face job dismissal. Was this the first offense? Second? Do you have a problem with drug or alcohol abuse? Can you prove that this was an isolated case? The Dui attorneys at Tenn And Tenn will review the facts of your case and will help you prove to the relevant professional license Board that you are capable of continuing your professional duties. Our firm will work with you to secure evidence that you do not require monitoring or supervision of your professional duties after DUI/DWI charge. We understand how to work with professional Boards to minimize or eliminate disciplinary action that can have a negative effect on your career. On January 1, 2016 New Hampshire legislature passed a new law that dramatically impacts the types of professional licenses available to individuals with a DUI or DWI. The bill, House Bill 0496-FN, allows first-time DUI/DWI offenders to petition, under certain conditions, for the restoration of a restricted license. Only first-time DWI offenders are eligible for the new law. This new law will not affect professional licensing organizations that have strict regulations against DUI/DWI infractions, but it can have some effect on the maintenance of professional licenses and on your ability to obtain future licenses. The law allows individuals to maintain a normal work schedule. That the person must operate a motor vehicle as a requisite of the person’s occupation or employment. That the person must operate a motor vehicle to seek employment or to get to and from a place of employment. That the person must operate a motor vehicle to get to or from an alcohol or drug treatment or rehabilitation program. That the person or a member of the person’s immediate family requires medical treatment on a regular basis and the person must operate a motor vehicle in order that the treatment may be obtained. That the person must operate a motor vehicle to continue his or her education. That the person must operate a motor vehicle to attend job training. The individual can be approved for a restricted license that allows the individual to operate a vehicle only under circumstances related to the petition, (ie. to drive to work, to take a family member for medical treatment, or to drive to school). There are still several unresolved issues regarding the new law. 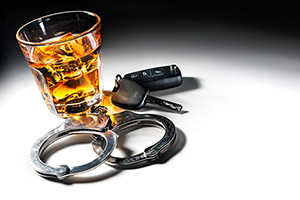 It is not yet clear if the law only applies to DUI/DWI arrests after January 1, 2016, or if it also applies to individuals with suspended licenses as of January 1, 2016. It is also unclear what the law means by “first-time DWI offenders”. In New Hampshire, DWIs are usually erased from an individual’s record after 10 years, allowing for another first-time DWI. The government has not specified if this is admissible under the new law. DUI/DWI charges can have major effect on your career and professional licenses. If you are worried that you might face disciplinary action at your job or loss of a professional license after a DUI/DWI charge, you need strong legal representation. The DWI attorneys at Tenn And Tenn actively defend DUI/DWI cases and have the experience you need to protect your job and professional license. Call our office at 603-624-3700 or go online here to schedule a free consultation and begin your case.